5' L x 2-1/2' W Terra Cotta Food Production Anti-Fatigue Mat | U.S. Plastic Corp. 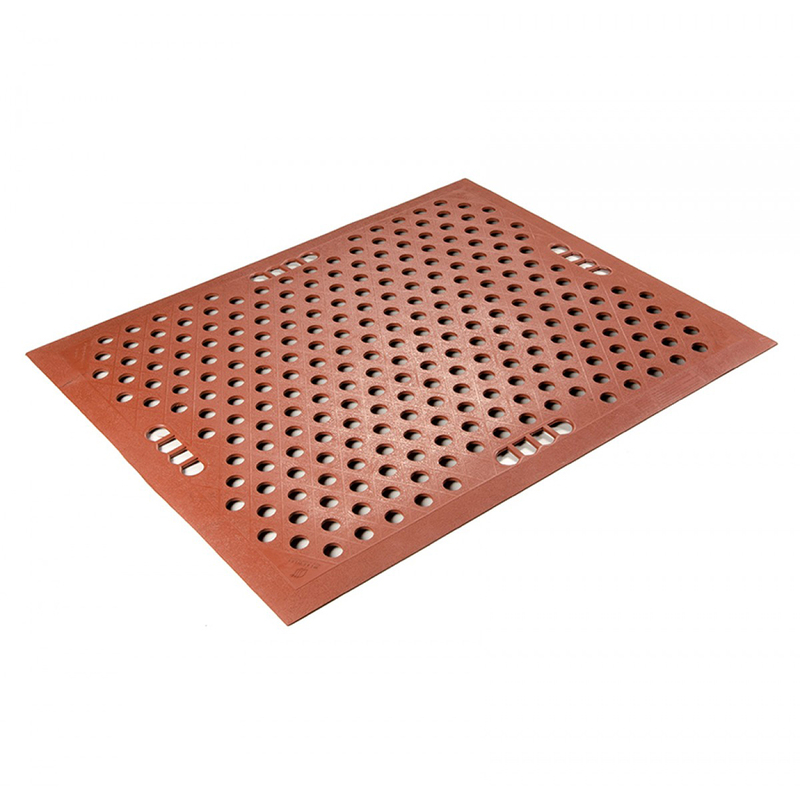 These Grade A mats are designed to combat fatigue while addressing specific issues unique to food production environments. The built-in handles combined with the mats' light weight make them easy to lift and clean. Use a high-pressure hose (not to exceed 500 psi) and hot water (max 160°F) to rid the mats of oils. For best results, use a mild soap or detergent with a pH between 4 and 9.